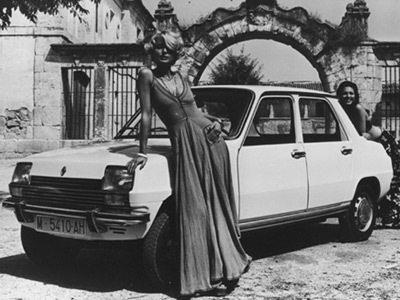 In more than 110 years of history, Renault has produced models of international renown, including the Dauphine, Renault 4 and Mégane. Over the years, vehicles have been redesigned to match the special characteristics of world markets. 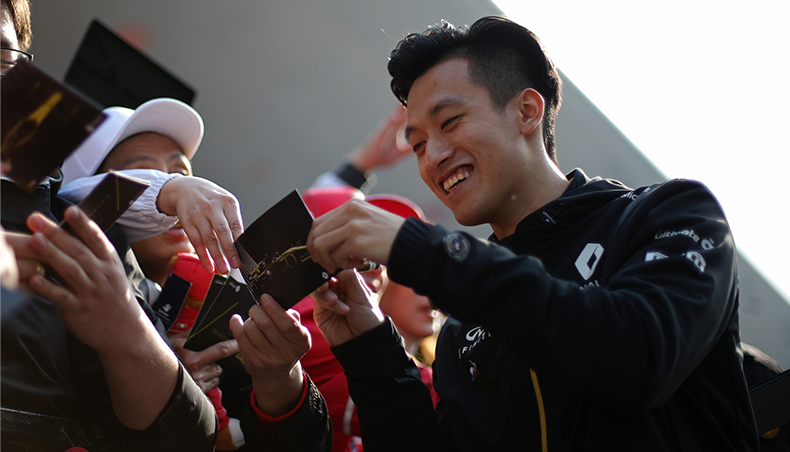 New models have been created by adapting names, signing partnerships and restyling bodies. 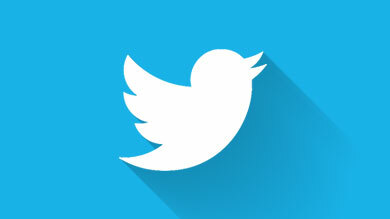 Following is a photographic panorama of these “rare models”. Renault Siete. Designed specially for the Spanish market, the Renault Siete (renamed Renault 7 following a restyle in 1979) was built on the Renault 5 platform but given a three-volume trunk. Some 240,000 units were produced between 1974 and 1982. Renault Rambler. Renault discontinued production of the Frégate in 1960 leaving a gap to be filled at the top of its range. 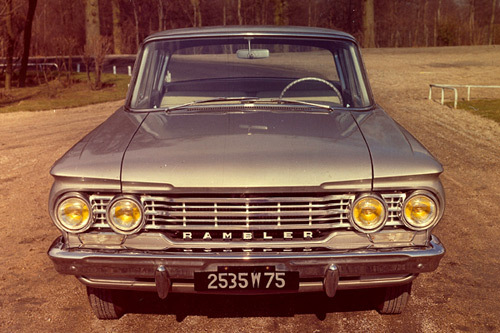 Taking advantage of a cooperation agreement with US manufacturer AMC, Renault imported parts of the Rambler (a highly esteemed model in the USA) and assembled them at its Haren plant in Belgium. Launched in France in 1962, the Renault Rambler wasn't particularly successful. A number of upgrades – to the body, grille, engine and onboard equipment – failed to stimulate sales, and the Rambler bowed out in 1967. It was replaced by the Renault 16 TS, more suited to European tastes. Renault Medallion. 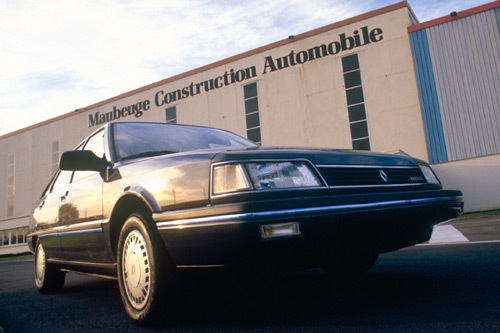 Renault’s sale of AMC to Chrysler in 1987 marked the end of a model manufactured 100% at the Maubeuge plant, intended for export, and marketed briefly in the USA under the Renault badge: the Medallion (an adapted Renault 21). Renault Le Car. 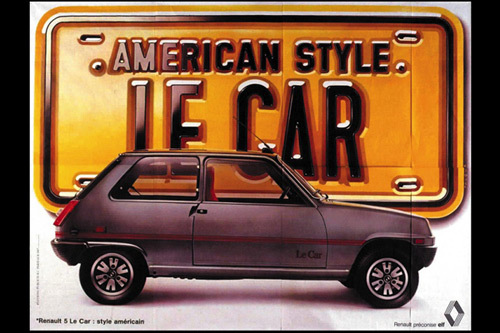 Taking advantage of the partnership with AMC, Renault launched the Renault 5 in the USA in 1975. 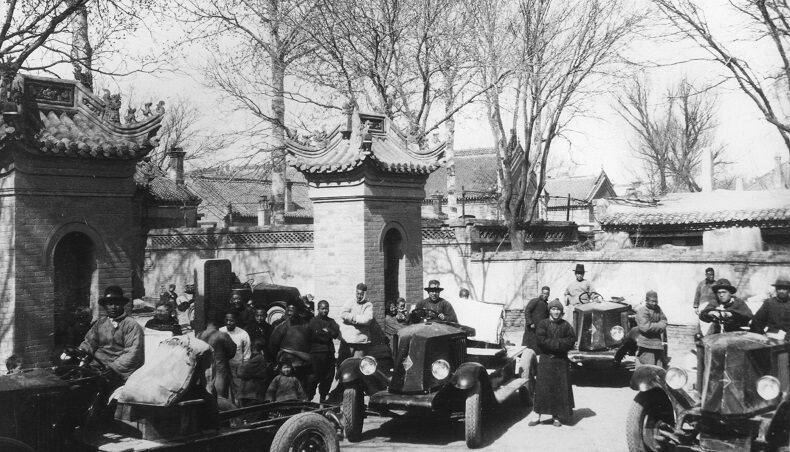 Although loaded with equipment, the car received a lukewarm reception, mainly because US car buyers had a hard time getting used to such small models. In a bold move two years later, the vehicle was renamed "Le Car". 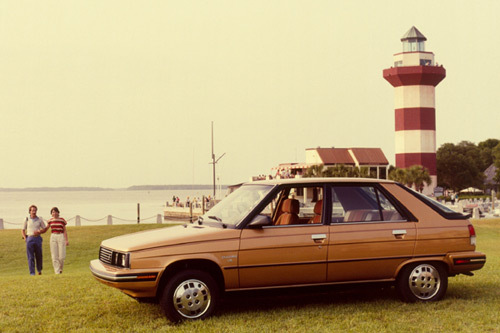 Sales improved steadily until the vehicle was discontinued in 1983. A110 Dinalpin. 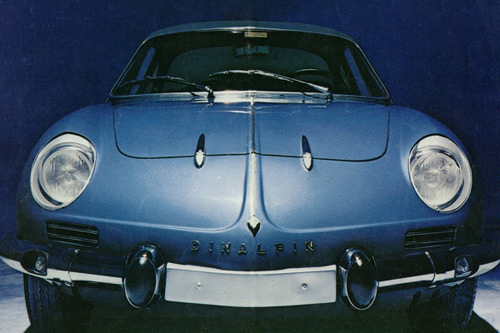 In 1965 Mexican carmaker Diesel Nacional (DINA) obtained the license to manufacture the A110 “Berlinette”. DINA went on to produce cabriolet and GT4 versions of the car, marketed under the name Dinalpin – a contraction of DINA and Alpine. Dacia 1300. The Romanian brand Dacia, founded in 1966 and independent until acquired by Renault in 1999, mainly produced vehicles based on the Renault range. 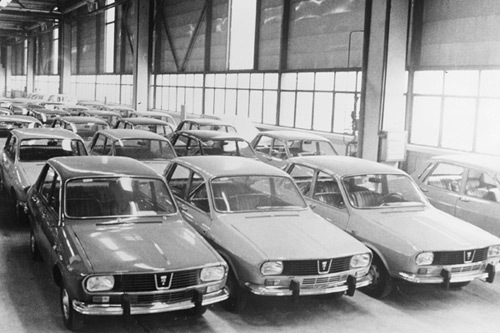 A license to produce the Renault 12 resulted in the Dacia 1300, the first of which was produced at the Pitesti plant in summer 1969. The Dacia 1300 became a huge success in the Soviet bloc countries and was manufactured virtually unchanged through 1979. 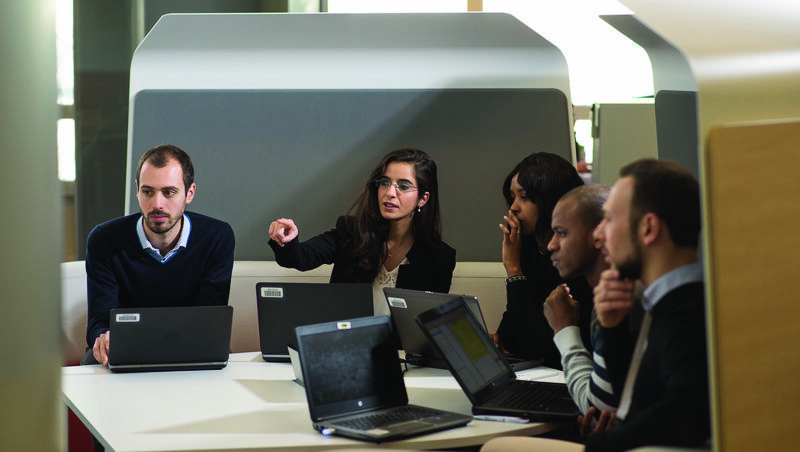 Renault Encore and Renault Alliance. An AMC partner in the 1970s, Renault increased its holding in the struggling company to 49% in 1983. Two vehicles designed in France and built in the USA were launched. 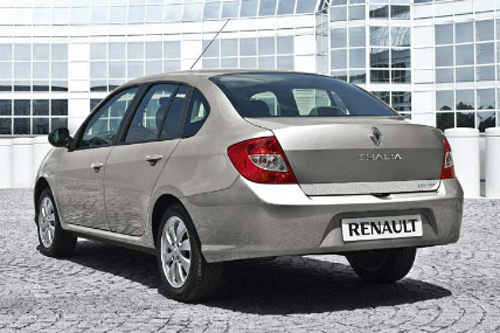 The Renault 9 was baptized Renault Alliance and the Renault 11 switched names to Renault Encore. The exterior design was very similar (even though the Alliance was also available as an attractive cabriolet) but the cabin was redesigned to meet the needs of stateside customers. 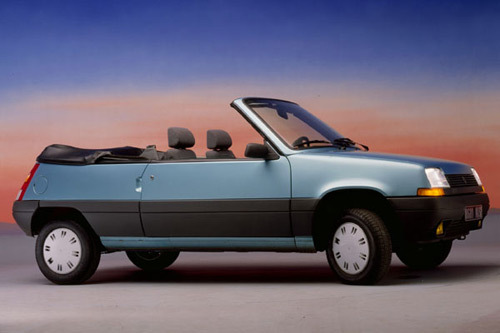 Renault Supercinq cabriolet. While numerous 3- and 5-door Supercinqs are still relatively common sights on the road in France, the cabriolet version is a rare spectacle. The photograph, dating from 1986, shows a Supercinq converted by coachbuilder EBS. Another version with styling reminiscent of a pick-up, called Belle Ile, was designed in 1989 by Car System Style and then Gruau. Independent coachbuilders designed their “take” on Renault models for decades, to the delight of collectors. Renault Torino. Inspired directly by the Rambler, and available as a coupé and a sedan, the IKA, later known as the Renault Torino, was produced at the Santa Isabel plant in Argentina from 1966 to 1981. 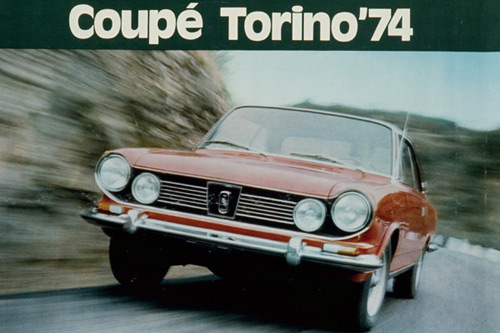 This long lifespan reflects the fondness of the Argentine population for the Torino. Renault Tondar 90. Logan is an international vehicle par excellence. 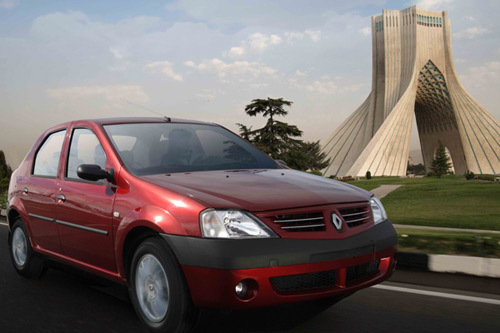 The version manufactured in Iran is called Tondar 90, signifying “thunder”. Renault Lutecia. 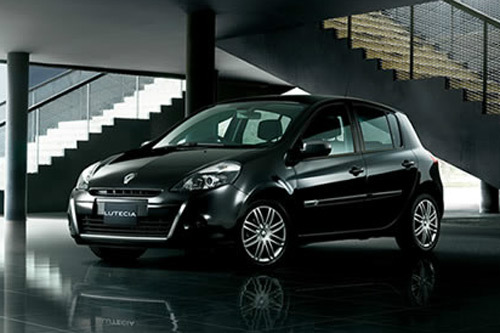 In Japan, the Clio is called Lutecia, a French-sounding name that is judged more attractive. Lutecia (or Lutetia) is the name the Romans gave to the site of present-day Paris. Renault Symbol / Thalia. This car is a favorite in Turkey, Argentina, Russia, Eastern Europe and the Maghreb countries. Long available as a Clio with a trunk, the Symbol (or Thalia in certain countries, including Poland and Croatia) was thoroughly restyled in 2008, gaining its own identity while still using Clio II running gear. 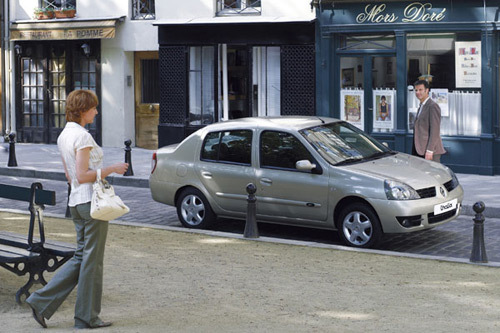 Renault Rodéo. Originally designed by the company ACL (later renamed Teilhol) on the base of a Renault 4, the Rodéo was produced in three versions between 1970 and 1987. Its go-anywhere calling, like that of the competing Méhari, was signified by its majority-plastic body. Renault Farma. 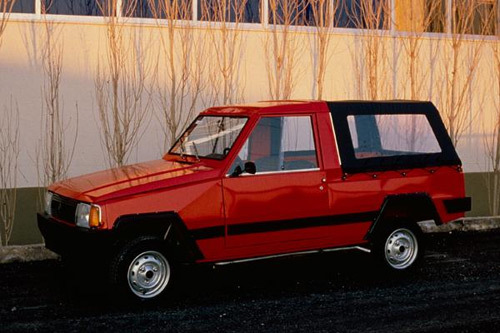 In the early 1980s, MAVA, a Renault distributor in Greece, was looking to get into car production. 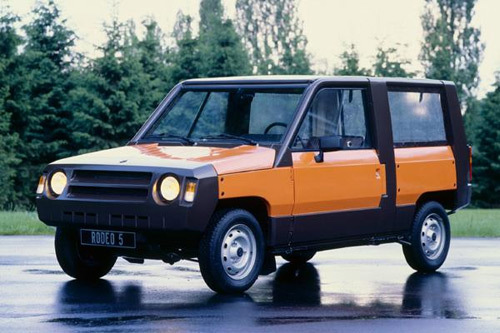 To meet the needs of the local market, it presented a small van, called Farma, to Renault. 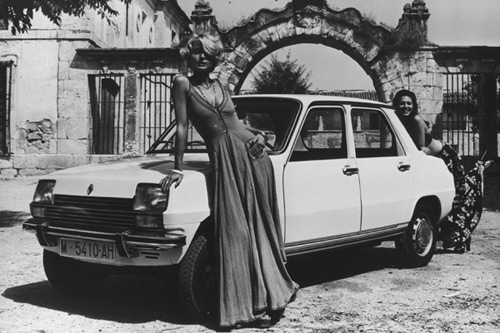 With Renault's approval, the vehicle gained the diamond on its grille (very similar to that of the Renault 14). 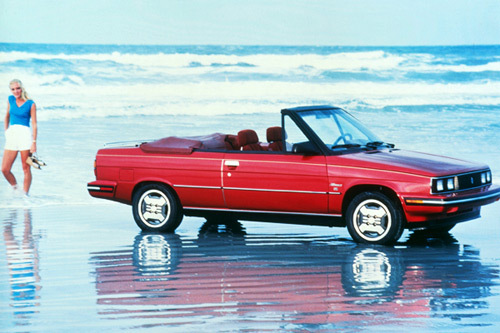 Several versions (including a family car and a pick-up) were released before production came to an end in 1985.